Of course, if you have great writers in house, you may not need to outsource your content creation. But they may also have “day jobs” which makes it difficult to meet the demands of a hungry inbound marketing engine, so having an outside person help them manage deadlines and editorial calendars might help them focus on the writing itself, not the management of it. Hire (and manage) a dedicated writer to craft content tailored for your ideal customers. Crowdsource content from your community. You can opt for paid or unpaid content or a combination of both. If you choose unpaid, use non-monetary types of recognition/rewards for the content producer. Hire influencers/bloggers. As a bonus, you get to leverage their reach and engage their often considerable followers. Hire an agency to manage some or all of the above types of outsourcing. This is the least time-consuming, most stress-free option. 3. Create an editorial calendar. 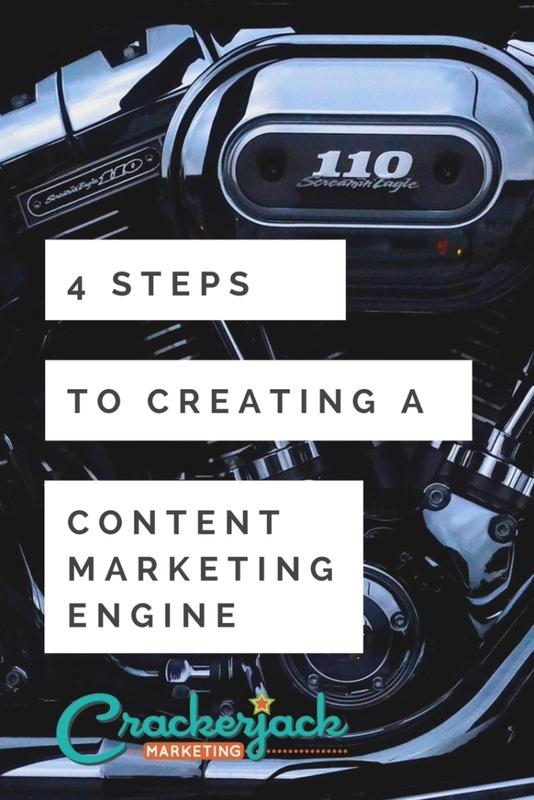 Organization is key to getting anything done, and the same goes for content creation. An editorial calendar not only helps you stay on task and remember when to write and publish, but also helps you focus on the right themes for reaching and converting your prospects. In your calendar, include not only planned blog posts, but also all of your other inbound marketing content, including whitepapers, newsletters, emails, eBooks, events, and social media. For some insight into just how important an editorial calendar is, consider this: My blog editorial calendar template is the top requested download on my site. Listen to your customers: You’re trying to engage, convert and delight them, so give them what they want. They’ll tell you what they want via social media, through emails, and by asking questions and sharing concerns with your customer service team. Make a list: Don’t you hate forgetting great ideas? This is how you avoid that. Answer all of your audience’s questions: You don’t want them looking elsewhere for answers. Research keywords: Targeting keywords in your content will help you bring in search traffic. Be honest: Being open and genuine will help you win not only friends but also customers. Brainstorm regularly: Don’t expect your original content topics to serve you indefinitely. 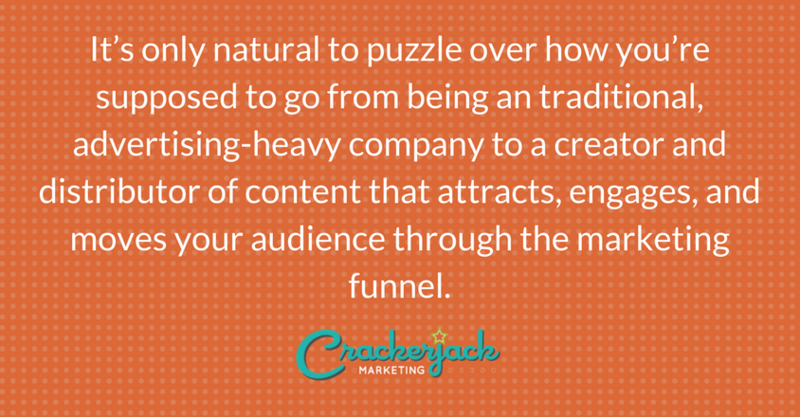 Always work towards finding new and better ideas for reaching your audience. Talk about it: Don’t be afraid to talk about the competition or even write about controversial subjects. Controversy boosts traffic. Just makes sure you don’t stray from your company’s general norms and policies. Try writing articles in the “versus” and “bests” formats (You vs. a competitor, best things about….). They generate a lot of interest and get shares. No more excuses! 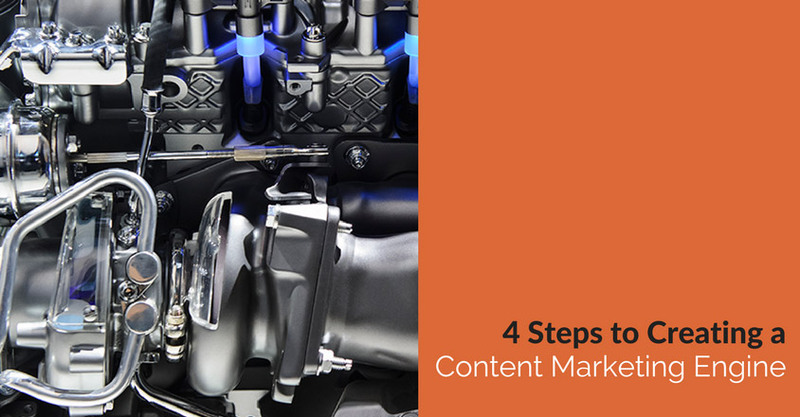 These four steps are all you need to create a content marketing engine. Please let us know how it’s going for you in the comments.